Chervonets gold coins display a fine example of Soviet Iconography. The obverse show the archetypal proletariat worker, with an agro-industrial background. The reverse shows the Soviet coat of arms, with the hammer, sickle and land produce. The Chervonets is basically the Russian version of the Austrian Ducat. The word “Chervonets” comes form the term used for currency and coin in the Russian Empire prior to the Ruble. Gold Chervonets coins are also the same as Ruble gold coins. They were minted in 10 Ruble and 5 Ruble denominations. The 10 Ruble gold coin is another Russian gold coin, but other than the minted imagery, they are the same exact coin. 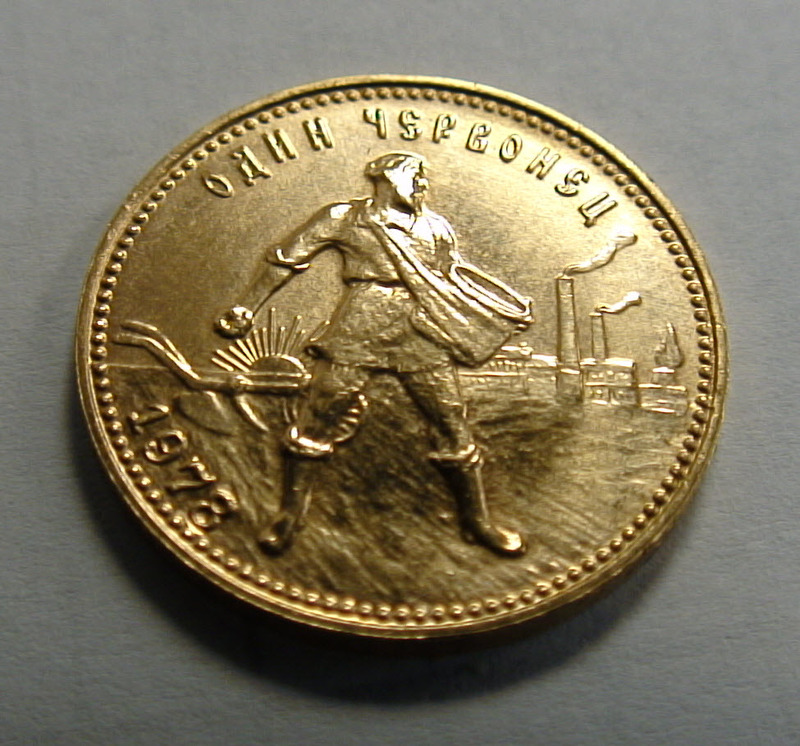 It is just that the Ruble gold coins feature Czar images, not Soviet. There aren’t too many Chervonets gold coins. These gold coins are very popular with coin collectors. However, they don’t command too much of a premium. So they are a very affordable collectible gold coin. 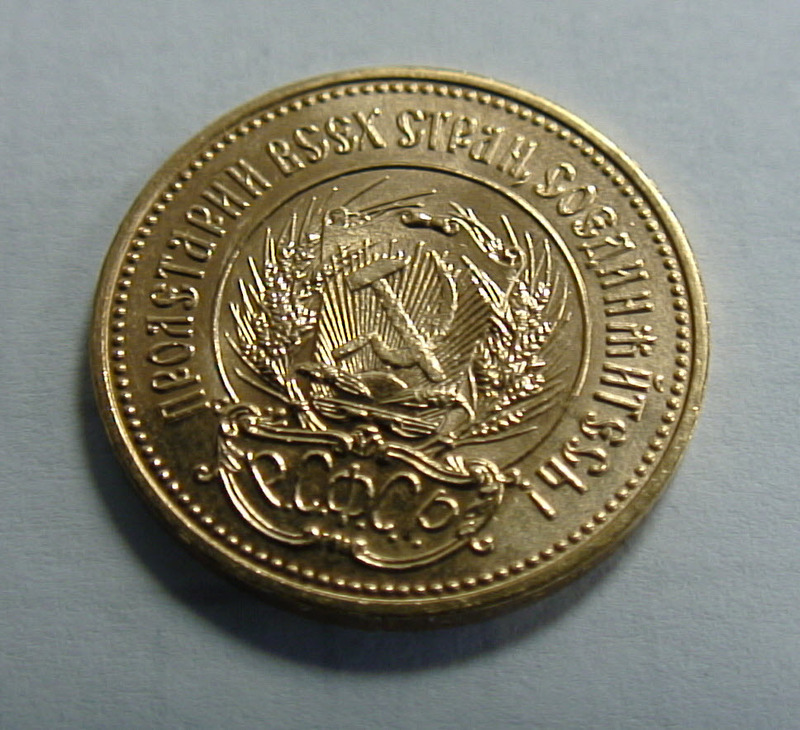 More than Russian, the Chervonets is a Soviet gold coin. Apparently the idea for minting the Gold Chervonets was to compete with the Krugerrand.